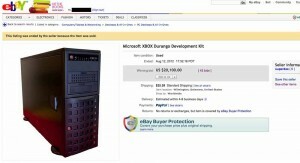 Xbox 720 sold on Ebay for $20,100??? 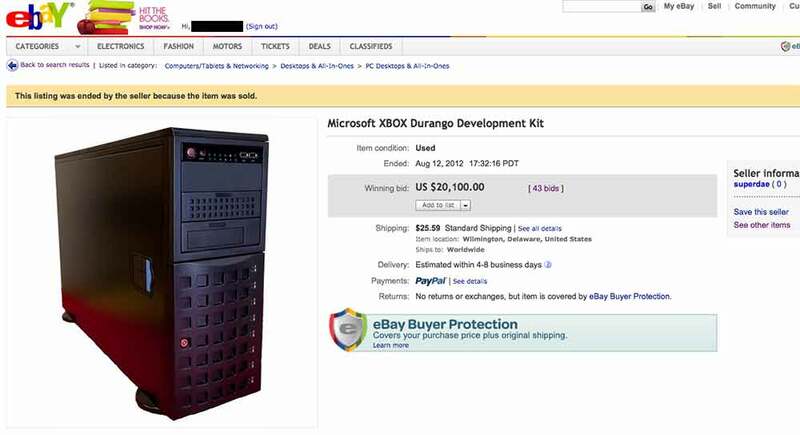 It appears that someone who claims to have a development kit for the next xbox sold it on ebay and it went for over 20k. Here is the link but keep in mind this will disappear in a few days so I am taking a screen shot as well. So is this real? No one knows. If it is, this person will probably get in trouble because MS knows who has these. Unless of course it is a publicity stunt by MS, which in my opinion is pure genius. If I get more info, i will post. I really wonder who this buyer was? Was a prototype of the next xbox worth 20k?